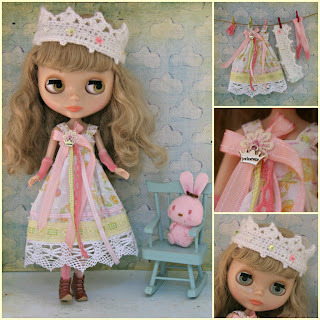 la petite chouette: Pretty sewing! I know it has all been about the Blythe girls this week but it is who I have been crafting for. Madly sewing up the ideas that have been floating around in my head for sometime. This is the first set.........it comes with the dress, crown, sheer sockings & wristlets.The dress is made from a white floral printed cotton and is finished with laces & ribbons and a tiny crown on the bow. The crown is crocheted in mohair and finished with sequins & beads. The socks & wristlets are made from a dyed sheer nylon fabric. Please note I have not dyed the nylon for the socks & wristlets. Price- $45 Aus including postage. 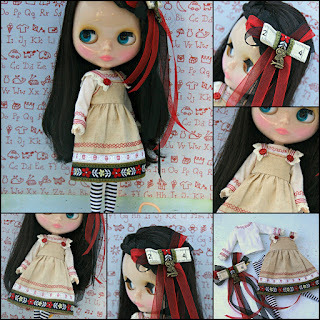 The second set includes the dress, shirt, tights & hair clip. All handmade by me except the tights. Dress is made from tea dyed calico and is finished with embroidered vintage trim, cotton lace, ribbon and machine embroidery. The shirt is made from white cotton fabric and has machine embroidery at the neck and wrists and is finished with co-ordinating ribbon & lace. 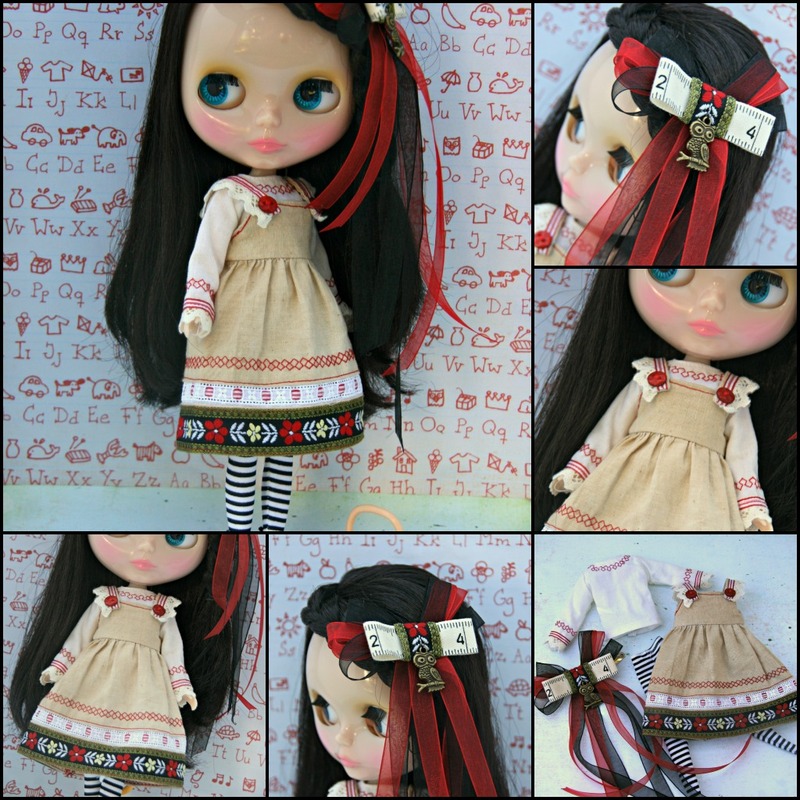 The hairclip incorporates the trims used in the dress and organza ribbon and is finished with a little owl trinket. Stockings are nylon & that I purchased from This is Blythe forum. Price $ 50 Aus including postage.